1 Bed - 1 Bath / 725 Sq. Ft.
2 Bed / 1 Bath - 905 Sq. Ft.
2 Bed / 2 Bath - 950 Sq. 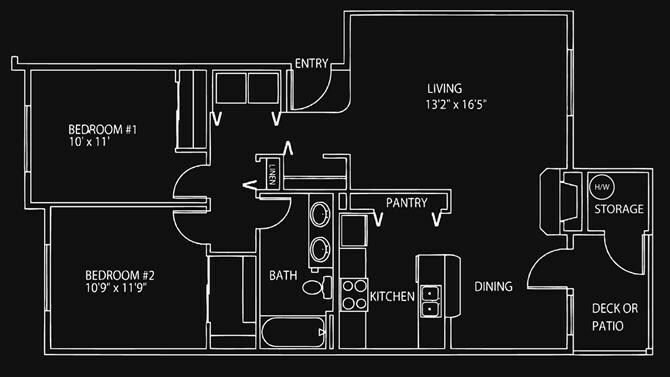 Ft.
3 Bed / 2 Bath - 1160 Sq. Ft.